Three scientists, Jane Foster (Natalie Portman), Erik Selvig (Stellan Skarsgård), and Darcy Lewis (Kat Dennings), are in the New Mexico desert in a four-wheel drive van studying an aurora-borealis-type phenomenon. Suddenly a large tornado/lightning storm develops and they drive towards it. The van hits a man inside the maelstrom and they stop. The man, a well-built blond, is semi-conscious. A voice-over describes a battle in 900 AD between frost giants and Asgardians; the Asgardians win, take over the power casket, and return to their realm. The speaker is Odin (Anthony Hopkins) talking to his two sons, one an energetic blond, the other a more thoughtful dark-haired boy. Odin says both of them are worthy but only one can be king. Years later Asgard is having an elaborate ceremony. The blond boy is now the adult Thor (Chris Hemsworth) and he's being formally recognized as crown prince. His brother Loki (Tom Hiddleston) looks on enviously. Before Odin can make the proclamation, alarms go off; there are intruders in the secure rooms that hold the frost giant power casket. A large Destroyer robot kills the intruders and saves the power casket. Examining the remains, Odin seems unperturbed, yet Thor is angry and wants to attack. Odin says no. Thor gathers Loki and his close friends, Volstagg (Ray Stevenson), Fandral (Josh Dallas), Hogun (Tadanobu Asano), and Sif (Jaimie Alexander), and they ride out to the Bifrost Bridge portal. The guardian, Heimdall (Idris Elba), allows them to pass and the six are transported to the frost giant planet, Jötunheim, a frozen, crumbling wasteland. 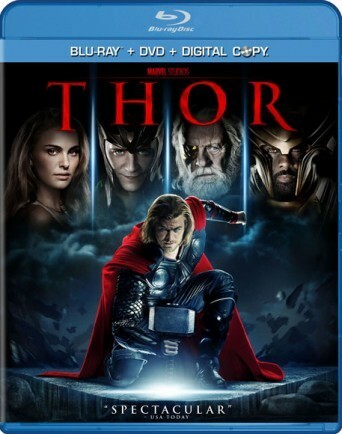 Suddenly they are confronted by King Laufey (Colm Feore), who taunts the Asgardian heroes. More frost giants surround the six and a battle starts. Loki survives with some magic and has an unusual reaction when he is touched by a frost giant. Laufey releases a huge beast and the Asgardians run for their lives. Thor kills the beast but once again the team are surrounded and things look desperate. Odin arrives to save the day; he apologizes to Laufey for the intrusion and attempts to reinstate peace, but Laufey states that they are beyond diplomacy, that the Frost Giants are now at war with Asgard. He attempts to stab Odin, who blasts Laufey back and takes the young group home.